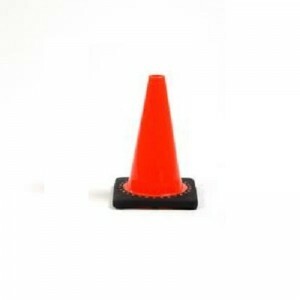 Boulevard Supply carries 12 inch orange PVC traffic cones. These 12″ traffic cones meet both MUTCD standard and NCHRP-350. Non-reflective traffic cones are for daytime use only. The 12″ height and light weight (1.5 lbs) makes them ideal for quick setup of indoor or outdoor short term and temporary use situations such as sports fields.